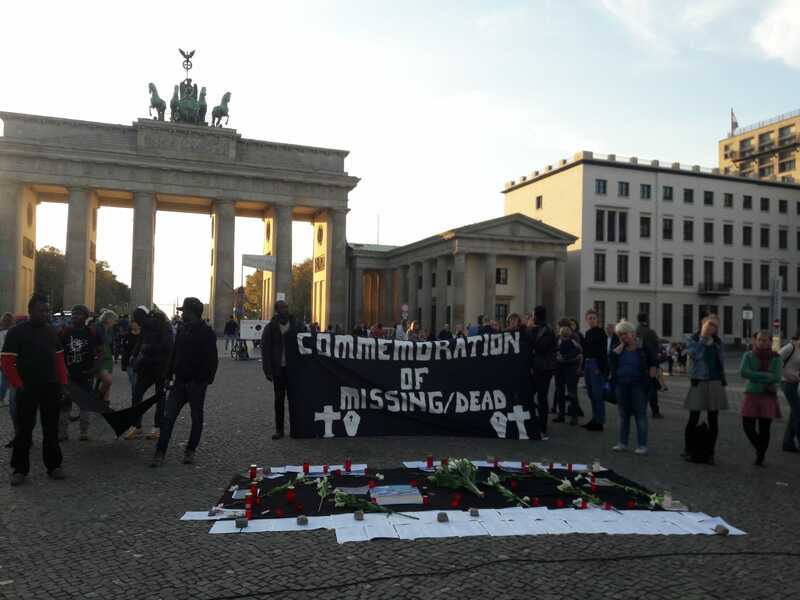 On 15 October 2018 at Brandenburger Tor together with Corasol, Seebrücke and other initiatives and individuals we commemorated all the deaths at the European borders. 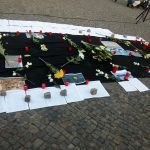 Corasol invited us to this yearly commemoration and we are glad that they create this space where flowers and candles can be laid down to make our sadness more visible. We started with a minute of silence to respect the accounted and unaccounted deaths. From many we know their names which were made visible on a long list on the ground but many die anonymously in the sea, the deserts or they are namelessly buried into mass graves on the coasts. 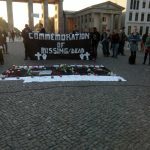 We from Women in Exile and Friends are commemorating the deaths of thousands of women ,children and families who innocently drowned in the Mediterranean sea, or were let to die in the deserts and all other borders after running away from their countries due to the result of colonization. This plundering is done by European countries with total impunity and no respect for basic human rights. 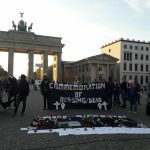 This conscious allowance of deaths of innocent refugees at the borders we call it genocide, a deliberate and systematic killing of people is being tolerated by all European governments. We also cannot forget the industry of death, that is, the defense industry and its relevant role in European economy. Europe aims to remain among the top players in the global arms market and for that they are signing subsidy programs, specially in African borders which are being equipped with high-tech infrastructure and fence systems in order to externalize European borders and strengthen fortress Europe. Africa is thus becoming a market for European technology. For this reason situations of death, war and conflict are perpetuated in so-called third world countries, bringing poverty and hopelessness to their peoples. For some of those who don’t die on the way, death is waiting mysteriously in the lagers. The situation of stress due lack of privacy, lack of movement, of proper hygiene or no access to education, are causes of depression, stress, anxiety which lead to situation of suicide attempt or suicides which are not recorded or registered officially . 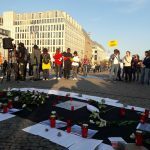 We accuse Germany and the European governments of being aware and promoting the politics of death around refugees. 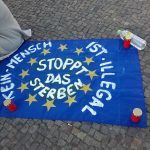 We say that what is missing is the courage to admit it, fight to respect human rights and provide freedom of movement for people “not only for goods”. freedom of movement ! right to come ! right to go ! right to stay !